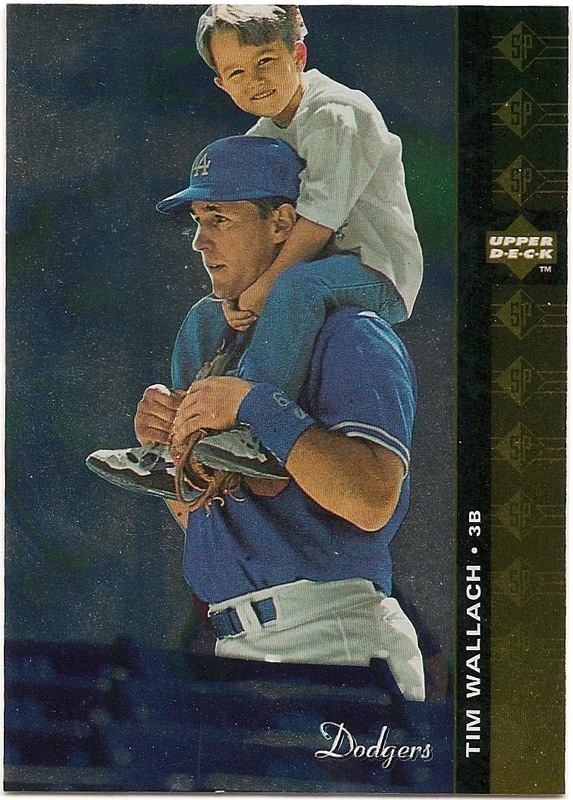 Card Review: 8.7 It's a bit of an unusual photo for a baseball card. 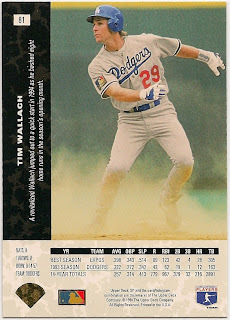 In the early 90's that was sort of a trend, thanks in no small part to the 1992 Bowman set. 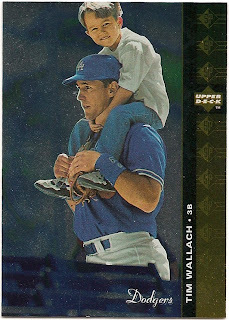 It was kind of a big deal in my mind for Wallach to be given the attention getting photo, and be one of the cards people were talking about. The back photo is pretty cool too, and would have made for a great card as well. Coach Wallach has cited this card as his favorite. Fun Facts: *All three of Wallach's sons have been selected in the MLB Draft. *Matt Wallach was a 23rd rd pick of the Yankees in 2005. He went to Cal-St. Fullerton instead, and was drafted by the Dodgers in the 22nd rd in 2007. He reached AAA ball before retiring. * Brett Wallach was a 3rd rd pick of the Dodgers in 2009. He was subsequently traded to the Cubs and is currently playing independent ball while rehabbing from arm surgery. 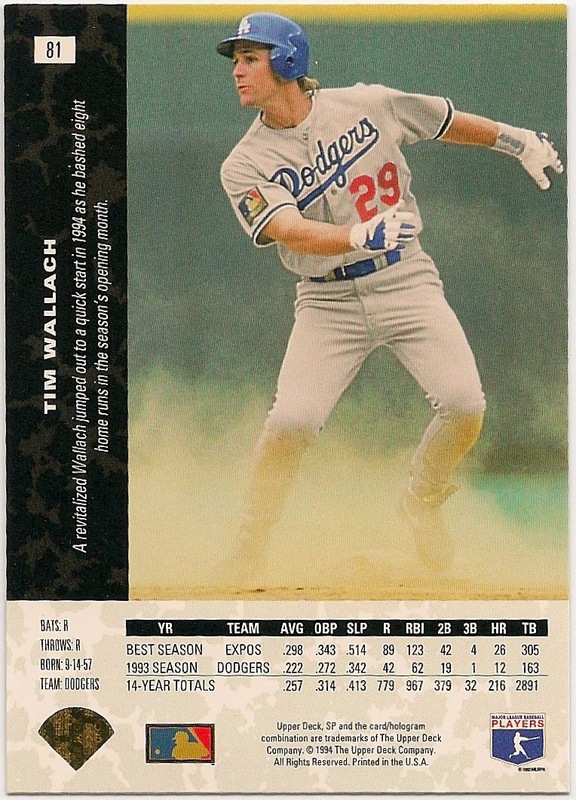 *Chad Wallach was drafted by the Dodgers in the 43rd rd in 2010. He chose to attend Cal.-St. Fullerton and was drafted in the 5th rd by the Miami Marlins. He currently plays in the Reds organization.